If your case goes to overtime on appeal, you need a team of appellate specialists. Because everything you’ve done to get through trial or a judgment — months of briefs, motions, and witness preparation—are all on the line again on appeal. 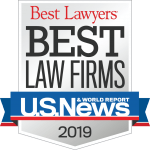 O’Hagan Meyer’s Appellate Practice Team has years of experience before appellate courts, from State appellate courts, to the U.S. Courts of Appeals, and we know how to present your winning case. Combining both extensive appellate and trial experience, along with a new strategic approach, we give your case the fresh perspective it needs on appeal. Whether you are seeking to uphold a win in the trial court, or reverse an adverse judgment, our Appellate Team has the experience, insight and devotion it takes to win your complex appellate case.